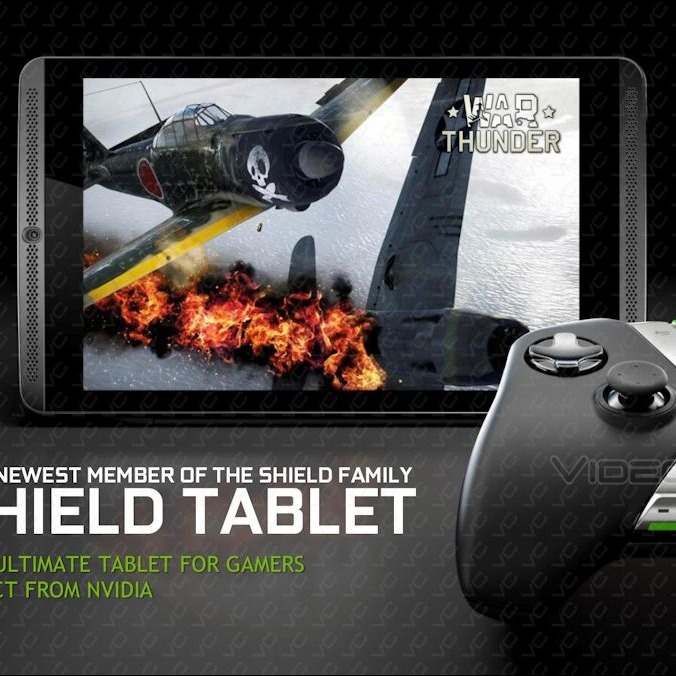 Just a day after @evleaks dropped a render of the upcoming NVIDIA Shield Tablet, VideoCardz.com (a name only a writer for a site called Android Police is not allowed to make fun of) has burst any bubble the new slate had left to pop - by dropping a massive pile of leaked, high-quality slides. Yep, you're going to get all the details. The Shield Controller works via Wi-Fi Direct, and promises significantly lower response times than Bluetooth controllers (around 10ms) with much higher data throughput, which might be necessary given it has a built-in headphone jack with voice chat support. At $60 (not included with the tablet), it's a steep price by any gamepad's standards, but given the extremely high quality of the original Shield's controls, I'm guessing this controller is more of the same, and that's good news. 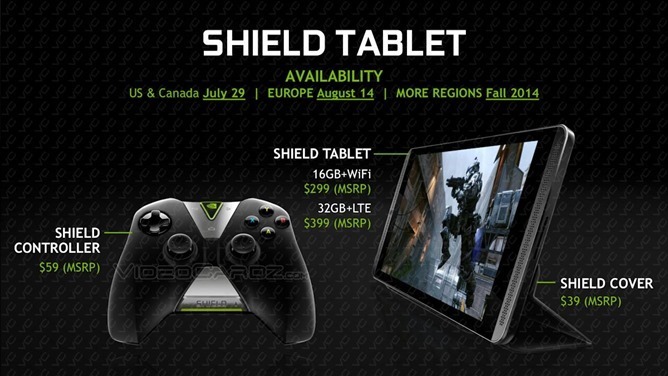 There'll also be a Shield tablet cover priced at $40, which folds into a stand to prop up the tablet. All in all, the Shield Tablet looks like a pretty stellar piece of hardware priced to compete aggressively on performance and features for the dollar. 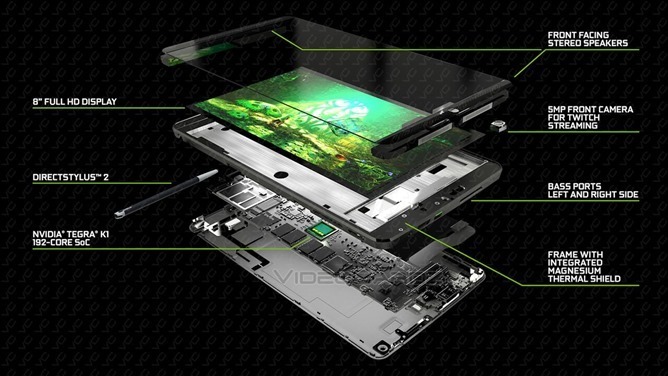 The "integrated magnesium thermal shield" is certainly interesting, though K1's robust 192-Kepler-core GPU is probably the reason behind that - running high-end Android games for hours at a time will undoubtedly warm things up. The bass reflex ports are also welcome news, hopefully meaning you can actually play a game using the built-in speakers without just hearing an endless stream of muddled explosions. To see the rest of the slides and get some performance details on K1, head over to the source link, below.